The acquisition of real estate itself and property whether for investment, personal use or business use has its own tax consequences. Despite the fact that the cost of real estate and property is a capital expenditure that produces no immediate tax benefit or liability, the acquisition puts a lot of tax provisions that the owner will have to adhere to at every step of the property’s life cycle. The terms real estate and property are often used to mean the same thing. While this is not the case, they can be easily confused for the other as they refer to almost the same thing. 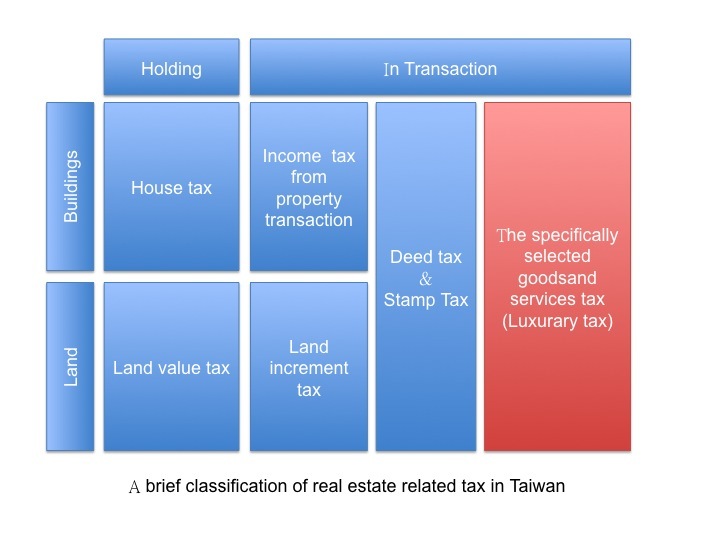 For an item to be classified as having real estate tax or property tax obligations, the following is put into consideration. What is Real Estate Taxes? These are taxes on land or anything that is attached to land, such as buildings which is privately owned. Real estate taxes are calculated as a percentage of the assessed tax value of a property. In most places, the revenue generated from these taxes are used for the provision of local services such as snow removal, school development, road maintenance and the operation of local government. Other items classified as real estate property include building materials that are attached to the land. Trees and plants that grow naturally on the land are also classified as part of the real estate. Plants that require human cultivation are however exempted from this list. Property taxes are taxes on items of privately owned property that can be moved about and are not attached to land. Examples of personal property include furniture that is not attached to the property, cars, electronic devices, boats, jewelry, and art. These taxes are assessed by state or local governments. The most common way whereby property taxes are applied is at the point of sale. Real estate taxes are taxes paid to anything that is attached to land. Property taxes, on the other hand, are taxes on privately owned property that can be moved and are not attached to land. Real estate taxes are paid monthly. Say for a homeowner, real estate tax is paid directly to the local tax assessor or with the monthly mortgage payment. Property taxes, on the other hand, are an annual tax imposed on movable assets. 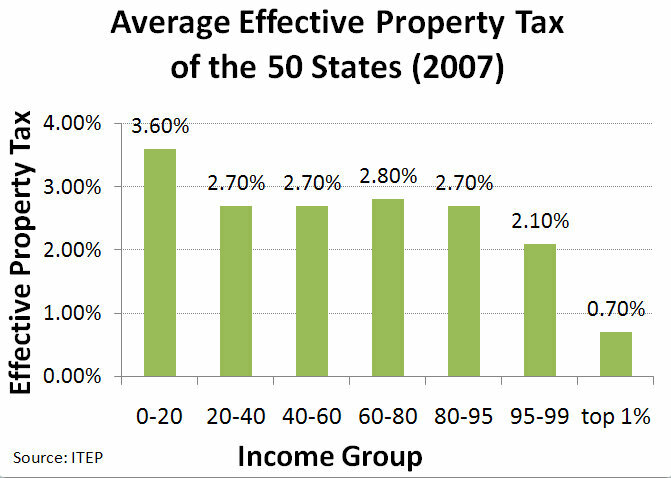 While real estate tax involves real property, property taxes involve private property. We can never evade tax. For this reason, it is important for the public to be informed on all types of taxes and the terms accrued to them, and ensure they know their tax obligations. Matters such as what property is being taxed, defaulter penalties and fines and when the tax must be paid must be adhered to. Tabitha Njogu. "Difference Between Real Estate Taxes and Property Taxes." DifferenceBetween.net. 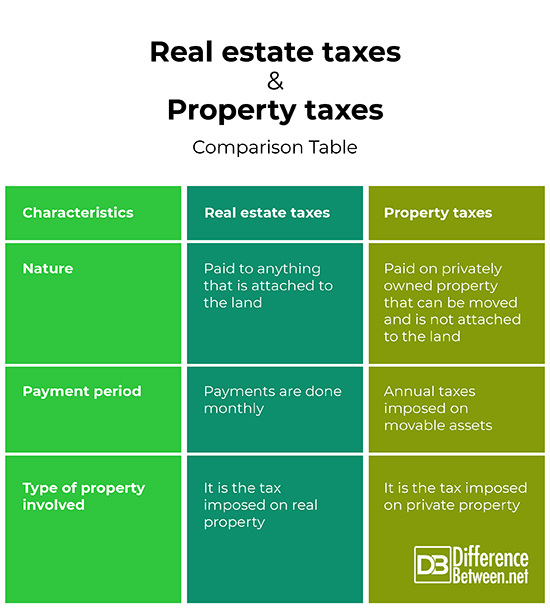 November 22, 2018 < http://www.differencebetween.net/business/difference-between-real-estate-taxes-and-property-taxes/ >.